Burlington has been doing a lot of downtown planning — redesigning City Hall Park; creating a unified design template for downtown amenities; creating a new look and feel for transportation throughout the city core with Great Streets BTV and redevelopment of the Cherry & Bank streetscapes. The planning is a prelude to a large investment that will change the appearance, function, and experience of city streets. 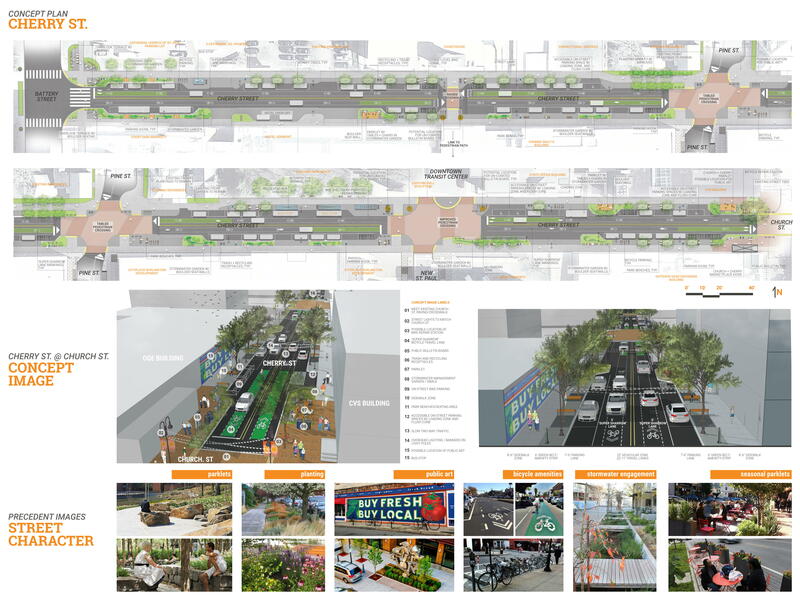 We are re-setting the urban landscape that is literally the fabric of our lives; it’s in our field of vision as we travel from home to business to restaurants and shops on foot, bicycle, or car. It’s what we breathe and muse on and it informs us consciously and subconsciously. With that in mind, it’s only a small hop of the intellect from the business of building something new to building something new that strengthens our community. If we are going to invest in fresh sidewalks and light poles, we should invest in ourselves, as well. Public bulletin boards are a timeless community-builder. They serve local artists and engage us with one another in an ongoing way. They impose no barrier for their use on our artists and cultural stakeholders. They have a very low capital cost. They leverage the energy of our creative community in support of our downtown economy. Public bulletin boards strengthen our community, unifying the arts and reflecting our diversity, vitality, and the uniqueness of Burlington as a destination for visitors and a fulfilling home to our residents. The Cherry Street, Bank Street, City Hall Park, and Great Streets BTV projects should be building the machinery of community engagement and empowerment through the amenities that are chosen for them. Uncurated public bulletin boards are a simple, practical, essential representation of our commitment to inclusion, equity, civic engagement, and cooperative advancement of our economic success. Thousands of artists are served continuously by uncurated public bulletin boards, and in turn their presence enlivens and enriches the city for the social and economic benefit of all. 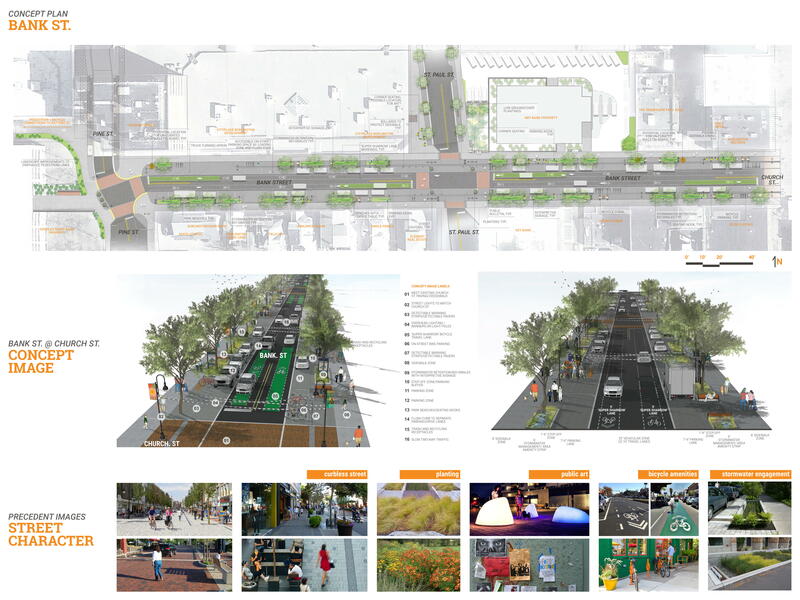 Image: New concepts for Bank and Cherry Streets include public bulletin boards. For more than ten years, this is the message that residents, artists and community organizations brought to mayors, city councilors, city department heads, and the urban designers the city contracted to fulfill its vision of progress. The conversations were uneven, with resistance coming from where it was least expected (our city arts office) and gated or impractical designs were proposed as replacements for familiar bulletin boards. One urban design firm’s proposal included glass bulletin boards that event posters would be taped-to from behind on a formal grid — a diametric cultural opposite to how bulletin boards are traditionally and energetically used. Support for uncurated public bulletin boards slowly built as leaders recognized the practical economic and political value of such simple and egalitarian resources. Photo: A three-way bulletin board was removed from Main Street when the sidewalk was reconstructed. The redesign was intended to preserve the bulletin board, but its metal was rotten at ground level and the city did not replace it. The photo shows the empty brick plaza that remains. The city lost many public bulletin boards over the years. Some were removed during a construction project at the corner of Main Street and Church Street. Two were removed to be replaced by public art — the Millennium Sculpture in City Hall Park; and some marketplace kiosks were hit by trucks and never replaced. Unmediated public bulletin boards have a limitless value to our arts community, but the city’s stewardship of the ones we have has been undutiful. It’s a pleasure to report that this course is changing: New public bulletin boards — accessible to all — are proposed for City Hall Park, Bank Street, and Cherry Street, and are included now in the city’s Great Streets BTV standardized inventory of amenities. When these bulletin boards are built, I’ll stand to applaud the city staff that listened and heard and responded so appropriately. The outcome of their work will be a contribution to the vitality of the city — authentically. That’s our expectation of city government — to bring us together with every concept and tool available, to build a stronger community and civilization. It’s fun to report that bulletin boards — the colorful beacons of our willingness to share with one another — will be a cornerstone of the next era of downtown design.